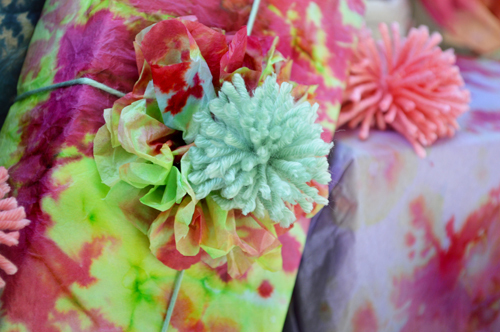 It's almost time to start slowly "wrapping" up Summer so I wanted to create something light, fluffy and fun for you. We all have special occasion's in our life whether it's a wedding, birthday or anniversary. Maybe you like to give back to school gifts to teachers or a simple gift to a special person in your life. 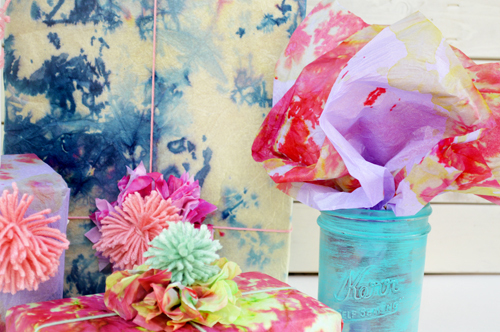 Today I will show you how to make that gift a little more unique with Tie-Dyed tissue paper. Sure you can go out and buy some boring solid colors but how cool will it be when you tell someone you created that tissue! I am pushing things a little further by using tissue paper as wrapping paper, so come on let's get started! 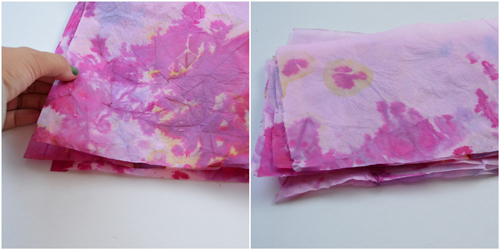 These are the basics of what you will need to create tie-dyed tissue. 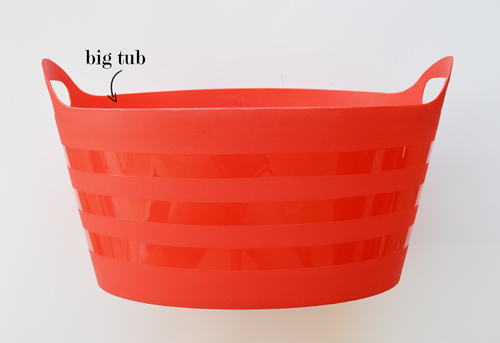 I like to use a nice deep tub to put my tissue in while I am dyeing them. 1. 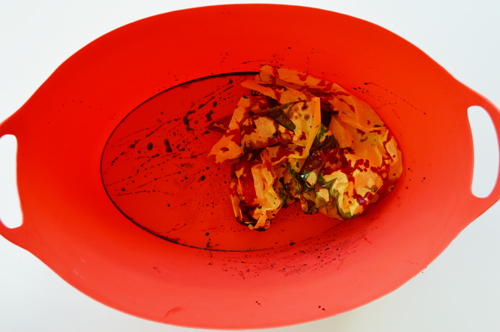 Scrunch up your tissue in a ball. The tighter the ball, the better. 2. Place the tissue ball in the tub. 3. 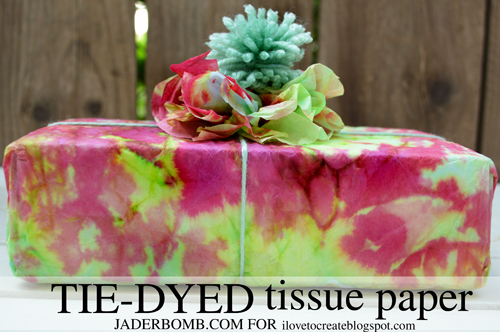 Grab your tie dye and slowly start squirting onto the tissue. 4. At first it will look like the dye will be rolling off of the tissue but I promise it's not. This is what it should look like after you add two or three colors. Don't forget to play off of the colors. 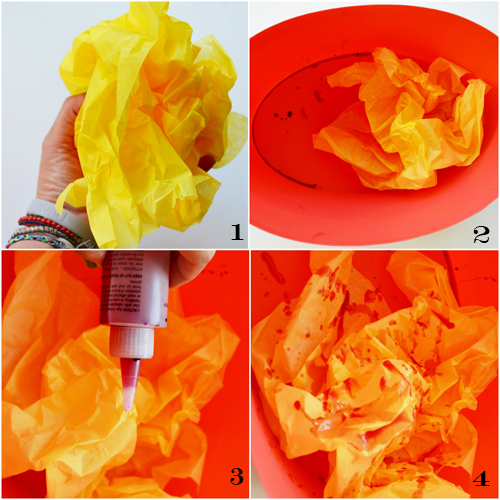 If you have a yellow sheet of paper add red to it and you will create some shades of orange. Most of all I just want you to have fun! When you are done with all of your tissue place them outside to dry. I always find a spot where the sun is shining and stick them there. It will dry them faster. When they are all dry lay them down on top of each other. They are so pretty just like this! 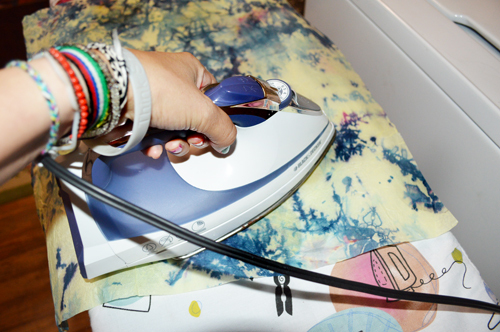 I like to iron my sheet of paper so they are crisp and easy to work with. Be careful when you iron them, we don't want to burn the paper. 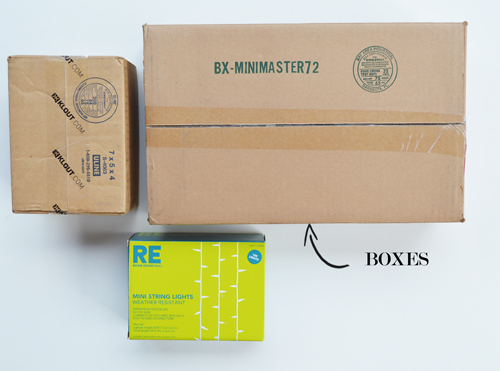 I always keep old boxes on hand in case I need to mail someone something. Before we wrap the boxes with tissue paper we want to create the flowers that will go on top. Fold a full sheet of tissue in half (cut at the seam), then fold that piece in half again (cut seam). You should have 4 separate sheets now. Lat thing is folding the stack of tissue like an accordion until the whole sheet is complete. Once you are finished with the accordion fold, wrap a small piece of wire around the middle. This will secure the tissue and give your flower a center. You can leave the edges of the tissue flat or you can cut them into points or make them rounded. This will change the way your flower will look. To make a pom pom you will simply wrap yarn around your fingers. Tie the middle once you have enough yarn around your fingers. Last you will cut each side like shown above. You will have to "shape" your pom pom a little and that is done by cutting all of the sides until it is even. Tip: The more yarn you wrap around your finger the fluffier the pom pom will be. When you think you have too much, add a little more! That's it folks. It's time to take everything we learned today and start wrapping our presents. To adhere the flower and pom pom's onto the gift I put a dot of hot glue and placed the items on top of it. 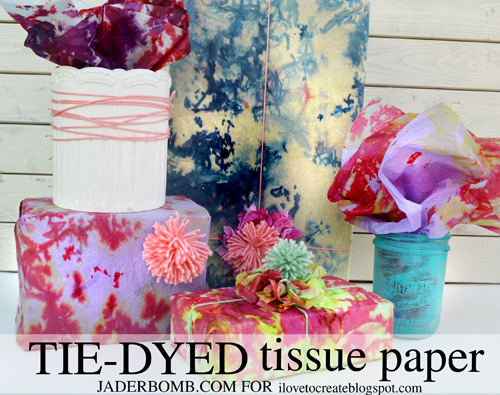 You can also decorate with this tissue paper. I stuffed them into a mason jar and voila! 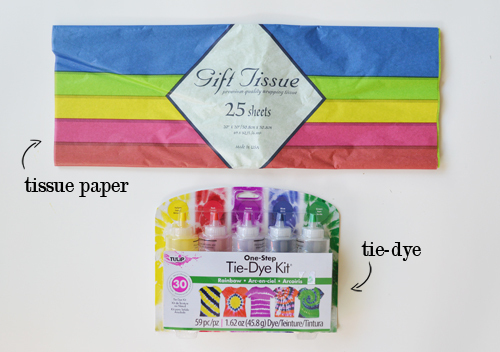 Another quick thing you can do is lay out a piece of tissue paper, fill it with your gift then wrap it up at the top. Take a piece of yarn and wrap around the top to secure it. It's really that simple. I am quite pleased with the way they came out. For one, it's unique and different. 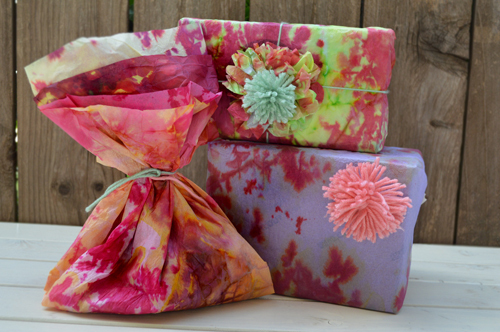 Now when you give someone that special gift you can tell them that you also made the tissue paper. That alone is special. 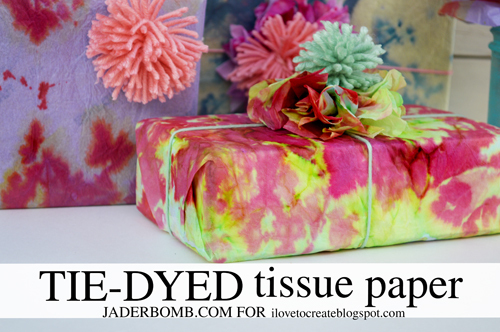 I hope you have fun creating your tissue paper and if you really want to push things, tie dye your yarn before you use it! 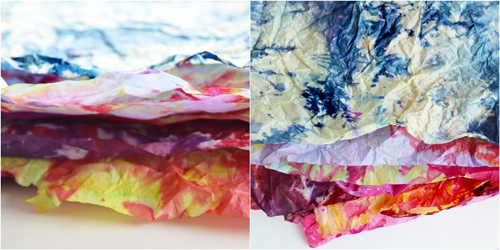 Big tissue paper hugs from my house to yours! 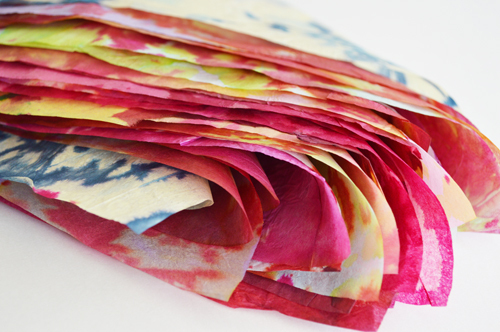 What shades of tissue do you want to tie dye? So Cute...I will be trying this. I'm going to be making a ton of big pom-poms to hang at the dinner for our class reunion. I was trying to think of ways to make it more interesting than just our school colors, and I love this! Off to stock up on tons of white tissue paper! This sounds adorable! Is there a special trick to keeping the tissue from tearing when it is wet? 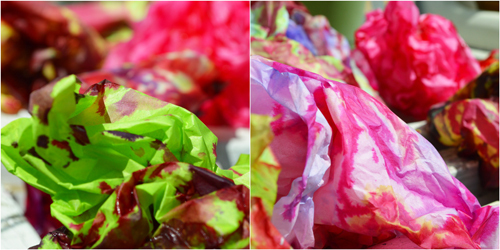 Julie: When you soak the tissue up with dye, you keep it the way it is until it is completely dry. I put it directly in the sun. When it is dry you can carefully open it up! It's super simple! Glad you like it! Nice tissue paper.Good looking design. 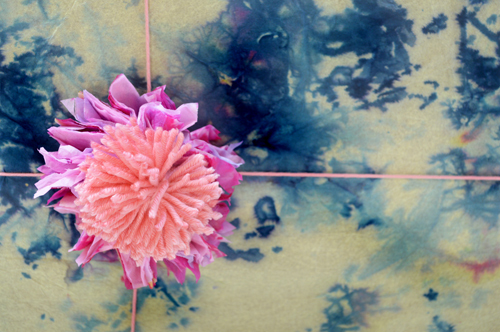 Can you get the same affect using food coloring?